Discussing dying and making end of life plans remain taboo for many people across the UK, a survey suggests. The poll of 2,000 adults for the Dying Matters Coalition of care organisations indicates that only 21% of people have discussed their end of life wishes. 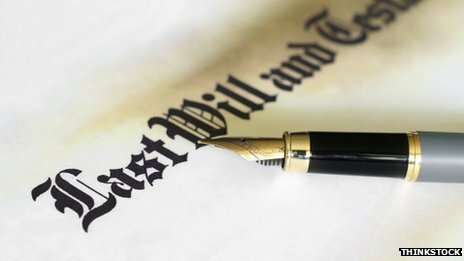 Only a third said they had written a will and just 29% had let loved ones know of their funeral wishes. The findings are being released at the start of the Dying Matters Coalition’s annual awareness initiative. The coalition was set up by the National Council for Palliative Care in 2009. The chief executive of both organisations, Claire Henry, said: “Dying is one of life’s few certainties, but many of us appear to be avoiding discussing it or in denial altogether. The survey also suggests about four fifths of the public believe people are uncomfortable discussing dying and death. And 51% of respondents said they had not made their partner aware of their end of life wishes. A separate poll of 1,000 family doctors found that, although the number of GPs discussing the issue with patients was increasing, a quarter had not initiated conversations about end of life wishes. Professor Mayur Lakhani, chair of the coalition, said healthcare professionals and their patients needed to become “more comfortable” with the subject to ensure the “right care and support” was provided. Meanwhile, Professor Tony Walter, director of a University of Bath centre devoted to the research of the social aspects of death, said: “Many of us do not experience a family member or close friend dying until we are into our mid-life.